Mobile phones are often the status symbol in the office, with constant upgrades and new models being released seemingly every week, your brand new Smart Phone can be out of date in a few weeks. With more demand for Smart Phones and people becoming increasingly reliant on devices in all aspects of their lives, in work and play, companies are constantly innovating to stand out in a busy profitable market place. When thinking of mobile phone manufacturers, most people in Europe would think Nokia, Samsung and obviously, Apple, but not many would think of Huawei, the Chinese manufacturer that last year overtook Ericsson as the biggest telecommunications equipment maker in the world. 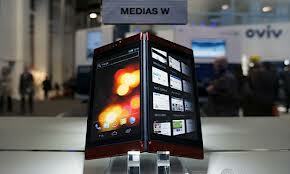 At the Mobile World Congress they unveiled the “worlds fastest smart phone”. Weighing in at just 122 grams with incredible quality display and with connection speeds on 4G claimed to be 18.75MB per second (fast enough to stream video easily) this phone would appeal for those who want to work and play with without delay. 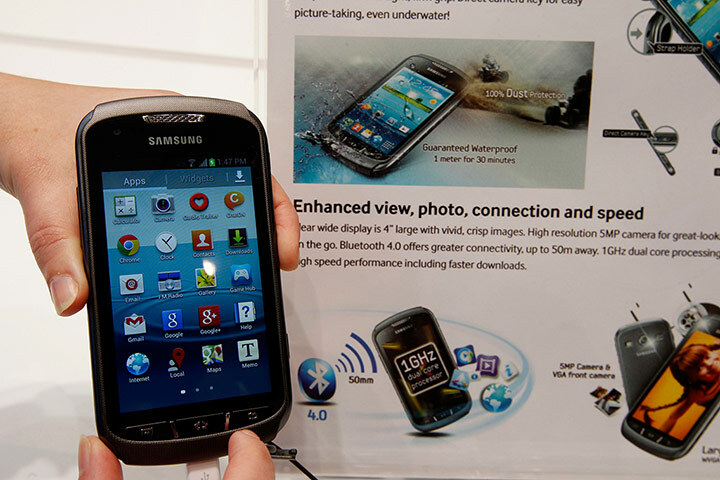 For the outdoor adventurer who still need their technology in the wild, Samsung have launched a new phone they claim is “100% dustproof and waterproof”. An upgrade of the Galaxy, the Galaxy Xcover 2 boosts a 4-inch screen, a good solid processor and a decent battery life for a smart phone. Added to that, it has a tough exterior, perfect for adventurers,or if you seem to drop you’re phone a little too often! There is a cheaper alternative to the problem of losing or breaking phones. 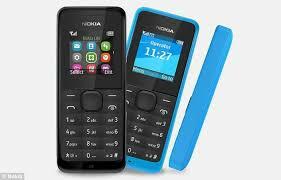 Nokia have also launched their cheapest phone, the Nokia 105. 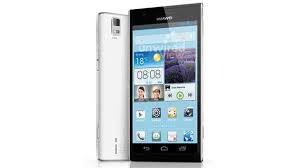 At just £13 for the handset, it is a basic but reliable phone that does the job. With an incredible battery life (one full charge can last up to 35 days), Nokia are looking to sell this phone in the emerging African and Asian market where electricity service can be infrequent. 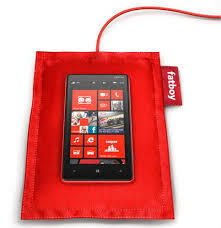 However, many people have commented this is a perfect back-up phone and could be a big success in Europe and America to take on a night out, on holiday or to a festival where you may not want to take your brand new smart phone but still need to be in contact. NEC’s new innovation is a double screen phone. A 5.6inch screen on either side can flipped to form one large screen, perfect for reading documents and maps. The screen’s smart technology allows you to look at two different pages at a time with comfort and ease. Probably it’s best function is to fold into a “V” shape so two people can watch video at the same time opposite each other in comfort and not bashing their heads together. The annoying feeling of waking up in the morning and finding your phone with no battery left because you forgot to plug it in last night could be a thing of the past with the Nokia Wireless Pillow. Coming in a number of vibrant colours, the pillows are sleek and simple, just place your phone on the pillow and it will charge. No tangled wires. No fuss. Just put your phone to bed when you go to the Land of Nod. This entry was posted in General Posts, TOP FIVES and tagged gadgets, Jobs, mobile, new, office, phones, technology, work. Bookmark the permalink.